Nachos are a popular snack food, originating in Mexico and associated with Tex-Mex cuisine. 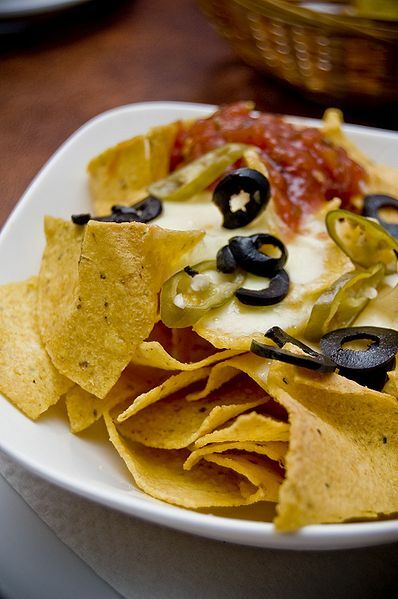 In their simplest form, nachos are usually tortilla chips or totopos covered in melted cheese. First created circa 1943 by Ignacio "Nacho" Anaya, the original nachos consisted of fried tortilla chips covered with melted cheese and jalapeño peppers. A variation consists of a quartered and fried tostada topped with a layer of refried beans and/or various meats and a layer of shredded cheese. This is usually served with additional cold toppings. 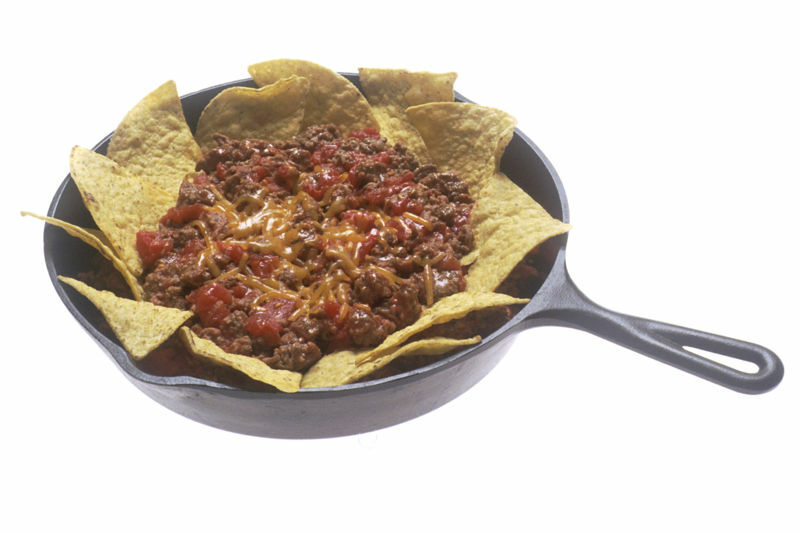 The tortilla chips are arranged on a platter, meat and refried bean toppings are then added, and the entire platter is smothered with shredded cheese. The platter is then put into a broiler or microwave to allow the cheese to melt. The platter is then covered with the cold toppings (shredded lettuce, tomatoes, salsa, jalapeños, etc.) and served immediately. Left: Nachos with beef, beans and cheese.